Peafowl are two Asiatic species of flying birds in the genus Pavo of the pheasant family, Phasianidae, best known for the male's extravagant eye-spotted tail, which it displays as part of courtship. The male is called a peacock, the female a peahen, and the offspring peachicks. The adult female peafowl is grey and/or brown. Peachicks can be between yellow and a tawny colour with darker brown patches. The term also embraces the Congo Peafowl, which is placed in a separate genus Afropavo. The crown of peacock's feathers leads to a further revelation: that it is the music of the heart which can be expressed through the head; it is the knowledge of the head and the love of the heart that together fully express the divine message. 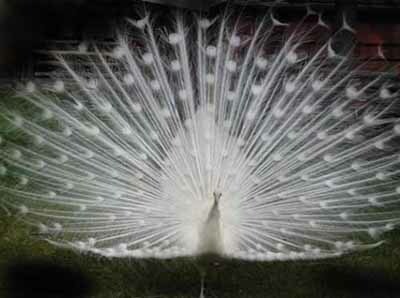 The peacock's feather in all ages has been considered as a sign of beauty and knowledge; beauty because it is beautiful, knowledge because it is in the form of an eye. It is by keen observation that man acquires knowledge. Knowledge without love is lifeless. So, with the flute, the crown of peacock's feathers makes the symbol complete. In Hinduism, the Peacock is associated with Saraswati, a deity representing benevolence, patience, kindness, compassion and knowledge. Peacocks have a special relation with Lord Krishna. he wears peacock feathers on his head, and ties them with his flute. These feathers are given to him by the peacocks themselves. 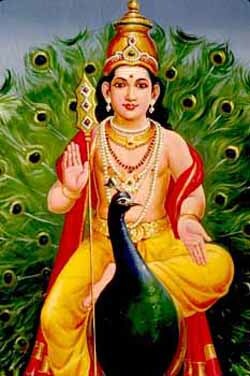 Peacock is also the mount of Hindu God of war Murugan, also called Kartikeya, the brother of Ganesha. Similar to Saraswati, the Peacock is associated with Kwan-yin in Asian spirituality. Kwan-yin (or Quan Yin, Guanyin) is also an emblem of love, compassionate watchfulness, good-will, nurturing, and kind-heartedness. Legend tells us she chose to remain a mortal even though she could be immortal because she wished to stay behind and aid humanity in their spiritual evolution. In Greco-Roman mythology the Peacock is identified with the goddess Hera (Juno). The eyes upon the peacock's tail comes from Argus whose hundred eyes were placed upon the peacock's feathers by the goddess in memory of his role as the guard of Io, a lover of Zeus that Hera had punished. The eyes are said to symbolize the vault of heaven and the "eyes" of the stars. In Christianity, the peacock is a symbol of eternal life. The Peacock symbolism represents the "all-seeing" church, along with the holiness and sanctity associated with it. 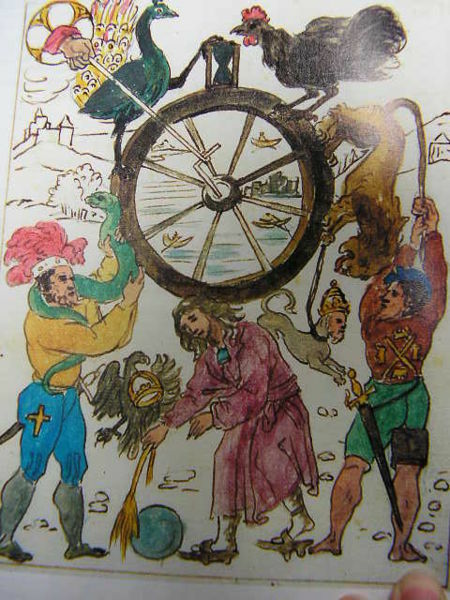 Additionally, the Peacock represents resurrection, renewal and immortality within the spiritual teachings of Christianity. Themes of renewal are also linked to alchemical traditions too, as many schools of thought compare the resurrecting phoenix to the modern-day Peacock. Melek Taus, the Peacock Angel, is the Yazidi name for the central figure of their faith. The Yazidi consider TawuseMelek an emanation of God and a benevolent angel who has redeemed himself from his fall and has become a demiurge who created the cosmos from the Cosmic egg. After he repented, he wept for 7,000 years, his tears filling seven jars, which then quenched the fires of hell. In art and sculpture, Tawuse Melek is depicted as a peacock. However, peacocks are not native to the lands where Tawuse Melek is worshipped. In 1956, John J. Graham created an abstraction of an eleven-feathered peacock logo for American broadcaster NBC. This brightly hued peacock was adopted due to the increase in color programming. NBC's first color broadcasts showed only a still frame of the colorful peacock. The emblem made its first on-air appearance on May 22, 1956. The current version of the logo debuted in 1986 and has six feathers (yellow, orange, red, purple, blue, green). A stylized peacock in full display is the logo for the Pakistan Television Corporation. 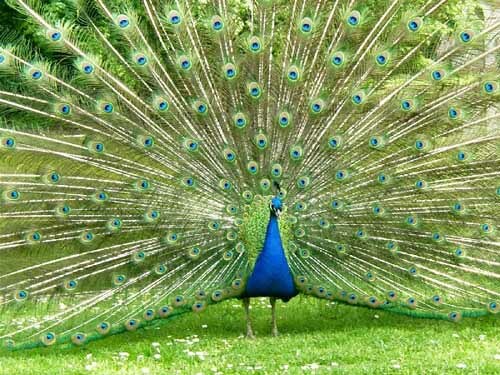 In some cultures the peacock is also a symbol of pride or vanity, due to the way the bird struts and shows off its plumage. 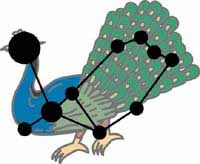 Pavo is a constellation in the southern sky. Its name is Latin for peacock. It is one of twelve constellations created by Petrus Plancius from the observations of Pieter Dirkszoon Keyser and Frederick de Houtman and it first appeared on a 35-cm diameter celestial globe published in 1597 (or 1598) in Amsterdam by Plancius with Jodocus Hondius. The first depiction of this constellation in a celestial atlas was in Johann Bayer's Uranometria of 1603. Best season for observation: Fall (20:00 meridian:early September) would best go south if you want to get a good look. In alchemical writings we meet a seemingly bewildering multiplicity of animal symbols - red lions, white eagles, stags, unicorns, winged dragons and snakes. Although at first glance all this complex mass of symbolism seems tortured and confused there is an inner coherence to these symbols, which the ancient alchemists used in specific ways reflecting their esoteric content. In this article I wish to consider a particularly tight knit group of these animal symbols, the birds of alchemy - the Black Crow, White Swan, Peacock, Pelican, and Phoenix - which are descriptive of certain stages of the alchemical process. Of course it would be wrong to suggest that there are fixed rigid meanings with regard to these symbols. The alchemists always integrated the symbols they used, so that one has to look at the total context, the background against which they stand, but when the birds appear in this sequence it is almost certain that the following interpretation can be applied. Firstly, let us look at the symbols in general. What did the alchemists wish to symbolize by birds? The essential thing about birds is that they, having as their domain the air element, mediate between the earthly realm and the heaven world. The alchemist in observing the flight of birds, recognized in them a picture of the human soul undergoing spiritual development. The soul, aspiring upwards, flying free of the restraints of the earth bound body seeking the heavenly light, only to have to return to the earthly consciousness again after the meditation, the alchemist symbolized by the bird. Thus the bird symbols, in alchemy, reflect the inner experiences of soul alchemy, the soaring of the soul free from the earth bound body and the physical senses. The soul, in the meditations of soul alchemy, touches upon the spiritual world, and brings something of this back into the outer life again. The birds as symbols mediate between the physical and spiritual worlds, they reflect certain archetypal experiences encountered by the soul in its development through the alchemical process. These symbols were used in two ways. Firstly, as a description in a text of one aspect of the process. Thus the alchemist might indicate a certain process as the Pelican stage, and describe certain facets of this by using perhaps other symbols, Secondly, these bird symbols could be used as a subject matter for a meditation, and by inwardly building such a symbol, one connected in soul with the essential experience of the particular stage of the alchemical-soul process. Consider them in the following sequence, one which occurs in various sources: Black Crow - White Swan - Peacock - Pelican - Phoenix - as these correspond to a developing inner experience which involves a progressively deepening encounter with the inner spiritual dimension of our being. The Black Crow sometimes also the Raven is the beginning of the great work of soul alchemy. This indicates the initial stages of the alchemist's encounter with his inner space, through withdrawing from the outer world of the senses in meditation, and entering what is initially the dark inner world of the soul. Thus this stage is also described in alchemical texts as the blackening, the nigredo experience, and it is often pictured as a death process, as in the caput mortuum, the deaths head, or as some alchemical illustrations show, the alchemist dying within a flask. Thus in the symbol of the Black Crow we have the stepping out in consciousness from the world of the physical senses the restrictions that bind us to the physical body. The next stage, is often shown as The White Swan. Now the alchemist begins to experience the inner world as being light filled - the initial inner brightness which is often erroneously mistaken for true illumination. This is merely a first conscious encounter with the etheric world, and in comparison with physical sense experience is for many souls so overpowering as to be pictured as bright white light. The alchemical tradition recognised this and symbolised this stage as the White Swan. The swan is a bird which is rarely seen in flight, but rather swimming upon lake or river, gracefully moving on the surface of water- in soul terms, on the soul's surface, its etheric interface with the physical. With the Peacock stage, the alchemist has entered into the inner experience of the astral world, which initially appears as ever shifting patterns of colour. This experience is often symbolised in alchemy by the appropriate image of the peacock's tail with its splendid iridescence of colour. In terms of this series of five stages, the turning point is reached with the Peacock. Up until this point the alchemist has experienced aspects of his being which he was formerly unconscious of - the etheric forces and the astral body. Essentially these experiences have happened to him, although he had to make himself open to the experiences through entering into the initial Black Crow state, however, in order to progress he must begin to work upon his inner being. This active working with the soul forces is perfectly pictured in the Pelican. The Pelican is shown stabbing its breast with its beak and nourishing its young with its own blood. The alchemist must enter into a kind of sacrificial relationship with his inner being. He must nourish with his own soul forces, the developing spiritual embryo within. Anyone who has made true spiritual development will know well this experience. One's image of one's self must be changed, transformed, sacrificed to the developing spiritual self. This is almost invariably a deeply painful experience, which tests one's inner resources. Out of this will eventually emerge the spiritual self, transformed through the Pelican experience. The Pelican was in this spiritual sense a valid image of the Christ experience and was used as such by the early alchemists. The Phoenix completes this process of soul development. The Phoenix bird builds its nest which at the same time is its funeral pyre, and then setting it alight cremates itself. But it arises anew from the ashes transformed. Here we have captured the alchemists experience of spiritualization, He has integrated his being so much, that he is no longer dependent upon his physical body as a foundation for his being. He now stands upon the sureness of the spiritual - he has in this sense attained the Philosopher's Stone, the Spiritual core of his being. Thus we can sketch shortly the process of Soul alchemy, the integration, purification and transmutation of the soul, as pictured in this series of bird symbols. 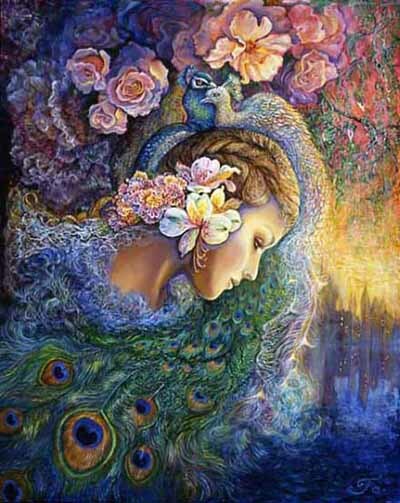 The Peacock's Tail is the central experience to this process, the point of inner transformation, which arises from a true consciousness of the astral body. We note also that the other stages mirror each other. Thus the Black Crow and the Phoenix are related as beginning and end of the process, but in a deeper sense they are both connected with death-processes. The dying to the senses of the Black Crow stage is ultimately transformed into the triumph over the death process of the physical, that is pictured by the Phoenix. There is a further mirroring of the White Swan and Pelican stages. The White Swan is an experience of the etheric forces in one's being, and this is later transformed into a conscious mastery and outward expression of these life forces. The Peacock's Tail stage - the conscious experience of the astral body - stands alone in this picturing of the process, though it was sometimes split into two facets, in the writings of some alchemists - an initial winged dragon phase which resolved into the Peacock's Tail. In the initial encounter with the astral body, the negative distorted aspects of one's being can dominate, and these can be pictured as the winged dragon, but through soul purification, ultimately the full beauty and splendor of the astral body are revealed in the Peacock's Tail. In the early alchemical texts (and in particular the 'Rosarium philosophorum'), this picture of soul alchemy is developed in parallel with descriptions of what was a sore physical process. Thus it was that the soul development of the alchemist went hand in hand with an actual physical operation, and this operation, the details of which have not been wholly lost, involved color and form changes within a sealed flask, isomorphic to the inner changes of soul alchemy, described by these bird symbols. Thus we had a physical process which involved a blackening, a whitening; a rapid iridescence of colors, a circular distillation stage, and a final sublimation. 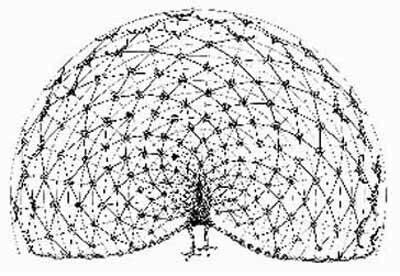 Part of the task of modern alchemy must be to rediscover this physical process, and explore its further ramifications. The peacock is considered to be a bird of protection and safe guarding. This bird is also valued as a protection for the psychic self. There has been lore that writes that to have a peacock feather within the home this helps to safe guard any of the energy in the environment. I personally have always had peacock feathers in my home, even when I was a child in my room. I also know that some native people also use the peacock feathers in fans and some crafting. While I have heard some individuals speak of not having them in the home but I can say that nothing has never come about for me. 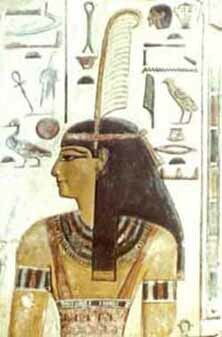 I found the feathers and consider them to be a gift from The Creator. The peacock brings harmony and joy to our mind. This bird is majestic, proud with much expression and as the male bird walks and dances to the female in courting. This reminds us of the celebration in life. Myth has the peacock representing fidelity, as it dies of grief, or remains single, if it loses its mate. Legend says it hates gold and will not go near it. 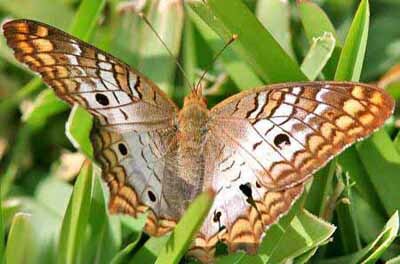 Peacock also is said to be able to foretell rain, and dances when rain is coming. Finding a peacock feather - good luck, harmony, serenity, peace of mind, relaxation and protection are all associated with the magnificent peacock.